“The Gun Show” (The Southeast Review, Vol. 34, No. 2) named a notable essay in The Best American Essays 2017. “Detours” (Literal Latte, Spring 2015) named a notable essay in The Best American Essays 2016. Sue Repko is a high school English teacher and a volunteer gun violence prevention advocate with Moms Demand Action. She is the Be SMART Lead for Maine, where she presents Be SMART, a gun safety program, to community groups and facilitates the work of other presenters around the state. She has a degree in psychology from Princeton University, a master’s degree in city and regional planning from Rutgers University and an MFA in nonfiction from Bennington College, where she studied with Dinah Lenney, Susan Cheever, Honor Moore, and Phillip Lopate. Her work has appeared in Hazlitt, Aquifer/The Florida Review Online, The MacGuffin, Tributaries, The Southeast Review, Hippocampus, The Common Online, Literal Latte, The Gettysburg Review, Beloit Fiction Journal, flashquake, Midway Journal, tattoo highway, Bryant Literary Review, Broken Bridge Review, and the Princeton Alumni Weekly, among other print and online journals and newspapers. She is at work on a memoir. Sue is also a licensed professional planner in the state of New Jersey and a member of the American Institute of Certified Planners. She is the author of Legendary Locals of Pottstown and the founder of Positively!Pottstown, a community blog about her hometown, a former industrial and manufacturing center in southeastern Pennsylvania. 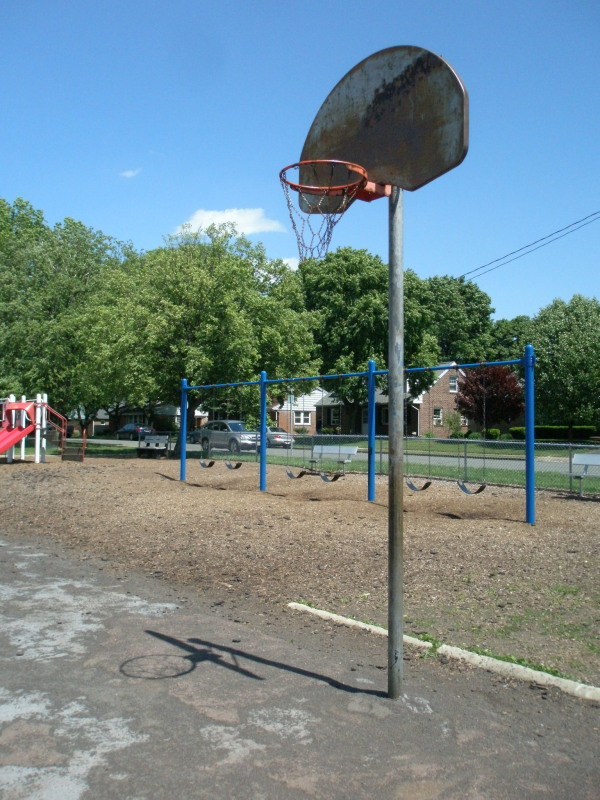 This is the hoop at Franklin School where she learned to play basketball.